Cyclo cross race day. Bike attached to the back of the car. 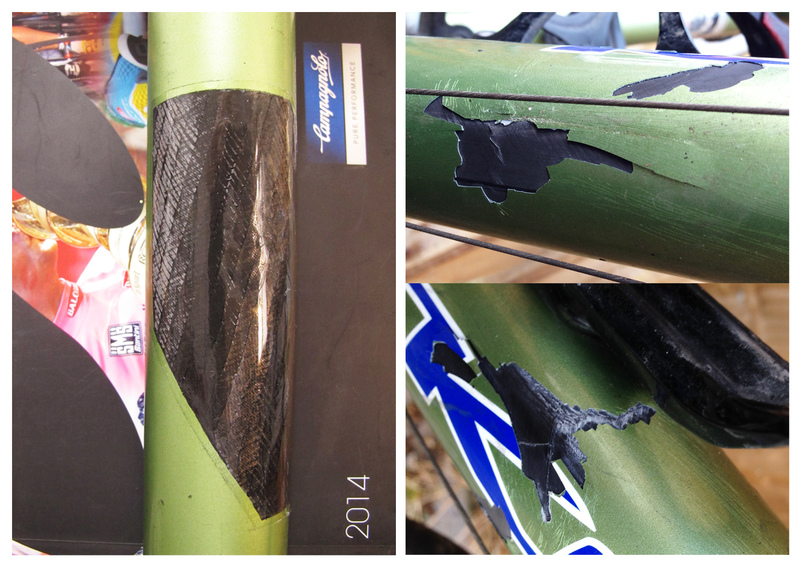 Bad news – concrete pole been hit when reversing, unfortunately down tube had to take the punishment by being crushed. Good news – it’s repaired and racing again.